If this reminds you of a #police-state, you are absolutely correct. As was the case for the #SovietUnion, these institutions are controlled by #Jews, too. 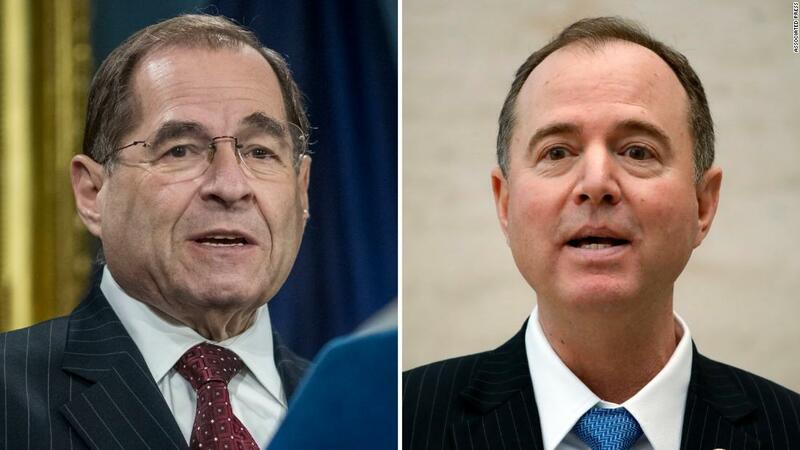 The #House #JudiciaryCommittee’s chairman Rep. (((#JerroldNadler))) and #House #IntelligenceCommittee chairman (((#AdamSchiff))) are #Jews in search of a crime, hell-bent – sorry, I meant shoa-bent – on investigating virtually everything connected to #PresidentTrump's entire #life & #family (except his #Jewish family members ofc). #Democrats: "Collusion? It was never about Collusion!" 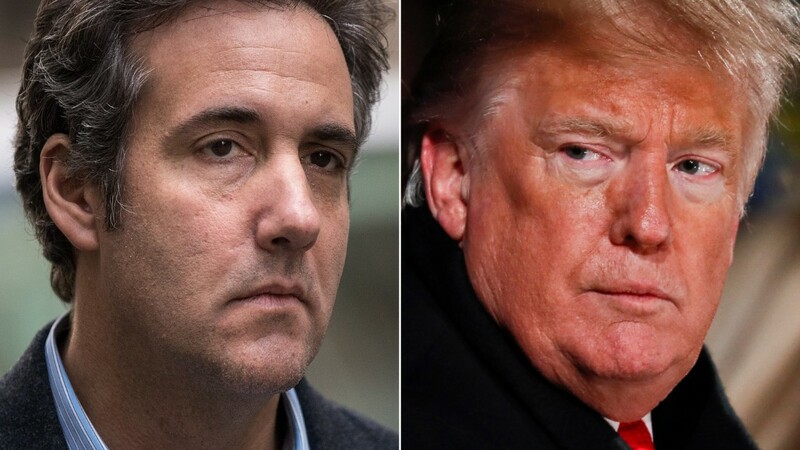 Michael Cohen, Trump's most trusted & intimate fixer who now hates him, was (a) never in Prague, (b) knows of no blackmail leverage the Kremlin has & (c) never heard any attempts to conspire with Russia over the election. The media silence over these crucial facts is deafening. McCabe writes in his book that the briefing for the "Gang of Eight" leaders in Congress came days after Drumpf fired FBI Director James Comey, making McCabe acting director of the bureau at the time. "That's the important part here, Savannah. No one objected. Not on legal grounds, not on constitutional grounds, and not based on the facts," McCabe said. 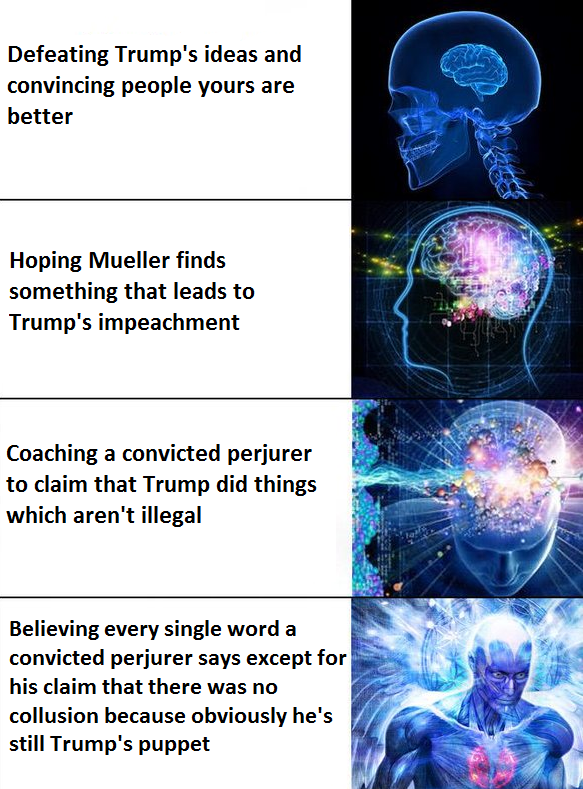 Just think of it: The Senate thought that ignorance was a viable means of defending the president who possibly committed a crime to reach up for the White House. Or did they not care because they already expected this to happen and only counted the days until he came up and tell them about it? McCabe was fearful that he would be fired before those probes were on "solid ground," he said. He wrote in his new book "The Threat," in an excerpt adapted for The Atlantic, that after the meeting "it felt like crossing a finish line." McCabe tells NBC he had informed congressional leaders that the FBI had opened a counterintelligence probe into Trump after the firing of James Comey, and that none of the members objected to it. During an interview on CNN, Schiff discussed at length all the "evidence in plain sight" of collusion he believes there is, but said "it will be up to Mueller to decide if that amounts to criminal conspiracy." "We're going to have to do our own investigation, and we are. We'll certainly be very interested to learn what Bob Mueller finds. We may have to fight to get that information. Bill Barr has not been willing to commit to provide that report either to the Congress or to the American people. We're going to need to see it," Schiff said on "State of the Union," referring to Drumpf's newly confirmed attorney general. "You know, I will certainly accept them in this way, Dana. I have great confidence in the special counsel. And if the special counsel represents that he has investigated and not been interfered with and not been able to make a criminal case, then I will believe that he is operating in good faith," Schiff said. 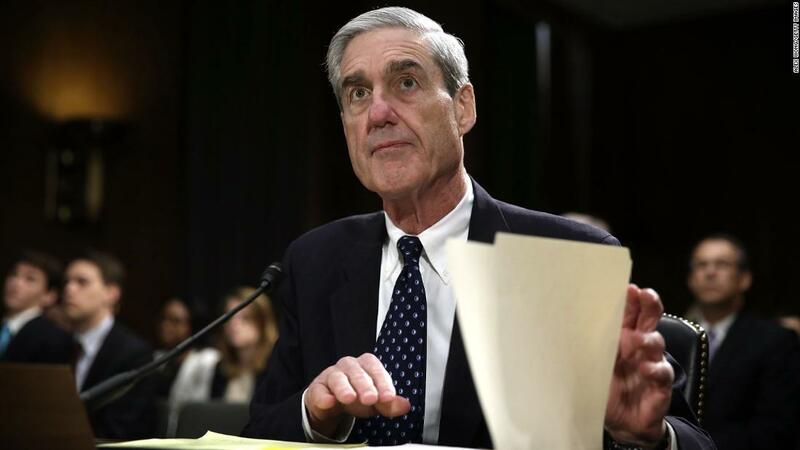 House Intelligence Committee Chairman Adam Schiff, D-Calif., wouldn't say Sunday if he would accept special counsel Robert Mueller being unable to find direction collusion between President Trump's 2016 campaign and Russia. REMEMBER: Schiff demanded that Nunes be investigated for meeting with administration officials. Schiff said the investigation would "allow us to investigate any credible allegation that financial interests or other interests are driving decision-making of the President or anyone in the administration." Schiff said the investigation, which could involve additional congressional committees, would also look at whether Drumpf or his associates have "sought to influence US government policy in service of foreign interests" and any potential obstruction into the various investigations. Schiff has said that he wanted to send the transcripts to Mueller for review to see whether any other witnesses who appeared before the committee committed perjury. The transcripts are likely to be transmitted by the end of the day, Schiff said. 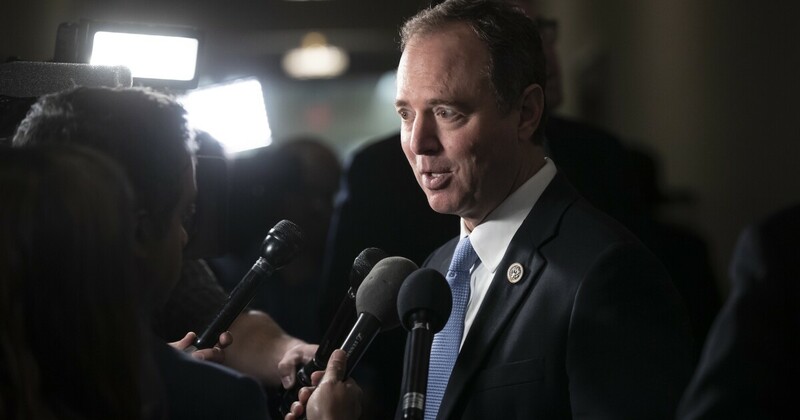 House Intelligence Committee Chairman Adam Schiff announced Wednesday a broad investigation his committee would undertake "beyond Russia" into whether President Donald Trump's financial interests are driving his actions. Democrats, including Sen. Dianne Feinstein (D-Calif.) and Rep. Adam Schiff (D-Calif.), who both sit on committees investigating the meeting, have pressed for more information om Drumpf's Jr.'s repeated phone exchanges with a blocked number. Others have surmised that the calls could have been with his father, then the Republican frontrunner and future president. "Has anyone heard from Adam Schiff?" Drumpf Jr. said. "I imagine he’s busy leaking other confidential info from the House Intelligence Committee to change the subject?!? #FullOfSchiff"
Is it an obligatory attitude in the Trump family, to behave like philistine rednecks when talking about their adversaries? Goodness gracious, people, grow yourself some respect and stop behaving like you were a bunch of drunkards occupying the local pub's counter!